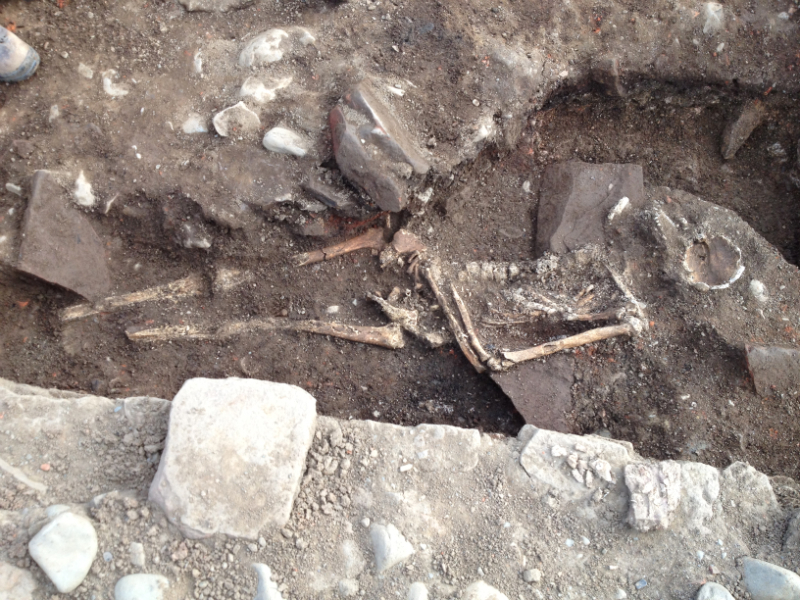 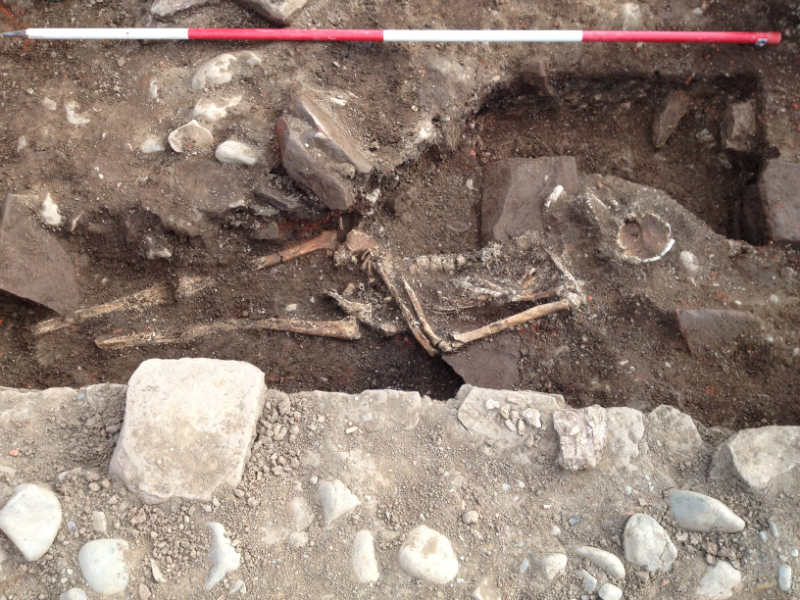 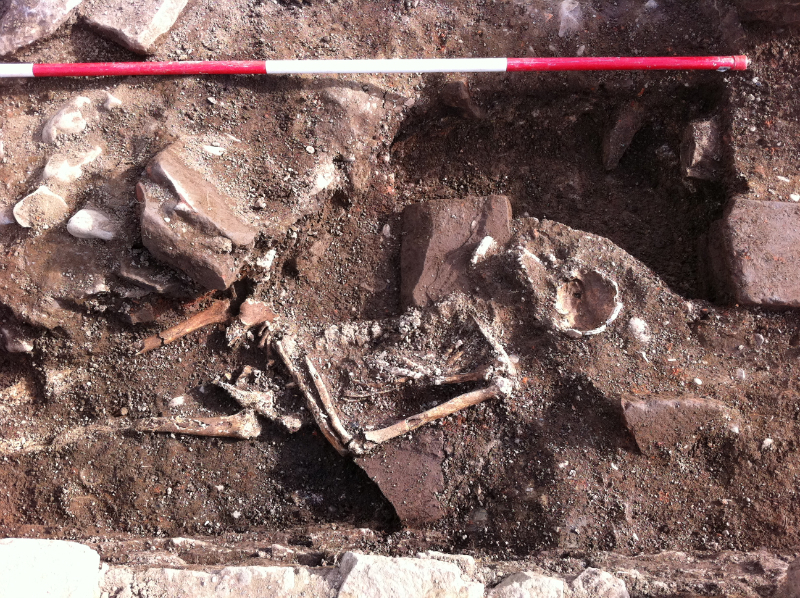 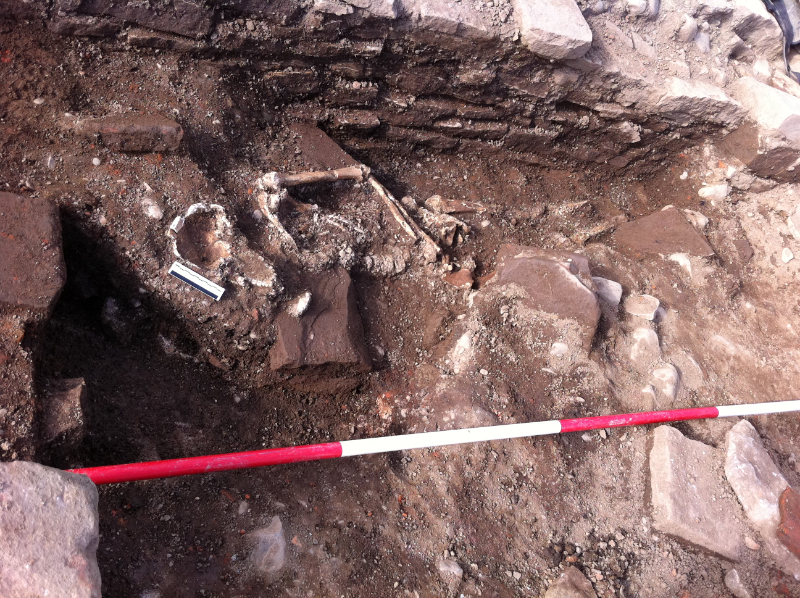 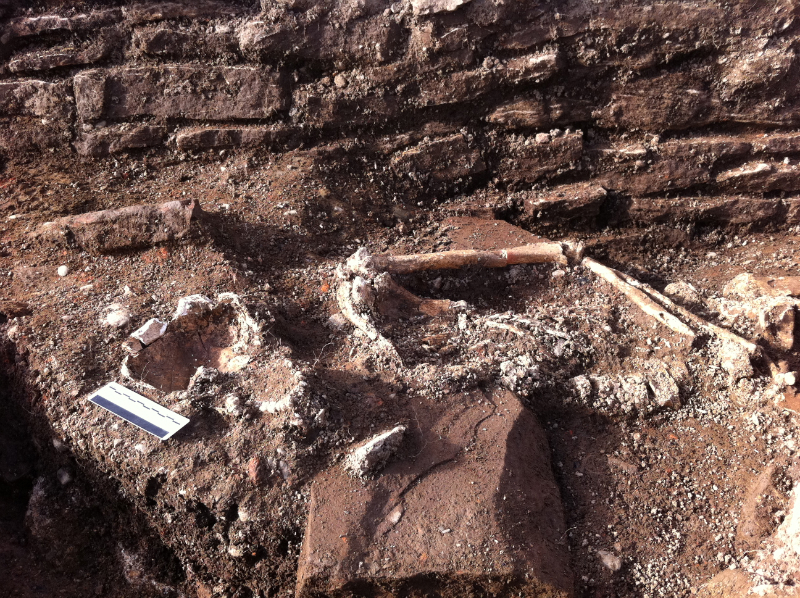 We have received the carbon date report for the skeleton discovered in the hypocaust and a report on the condition of the bones. 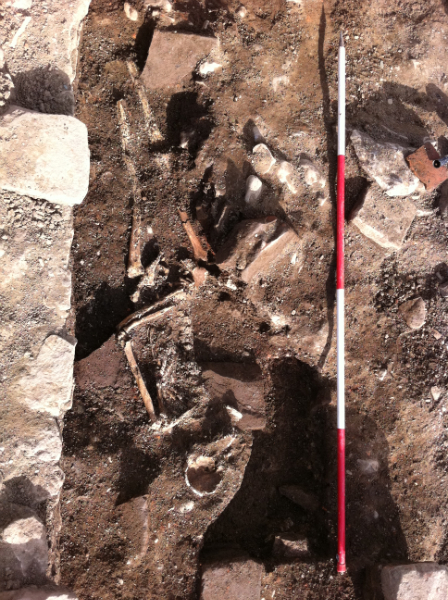 The skeleton is that of an adult male aged in mid-thirties at the time of death. 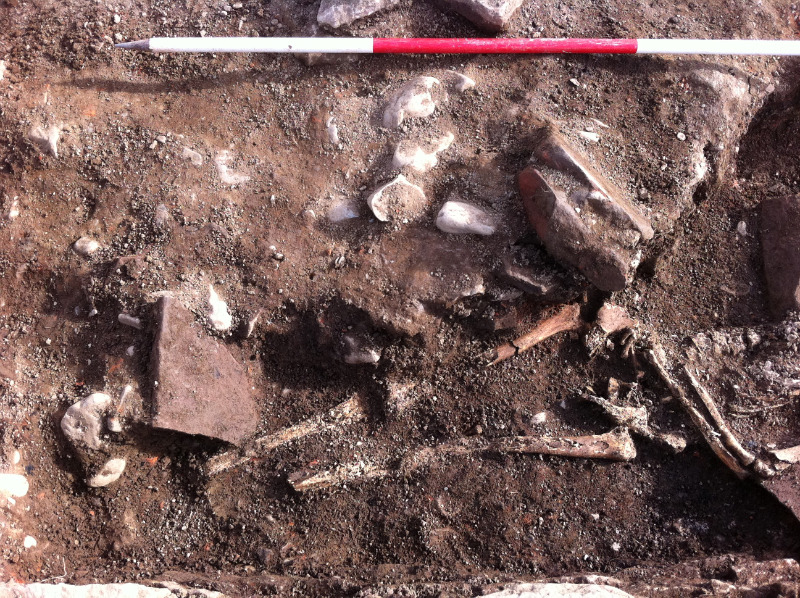 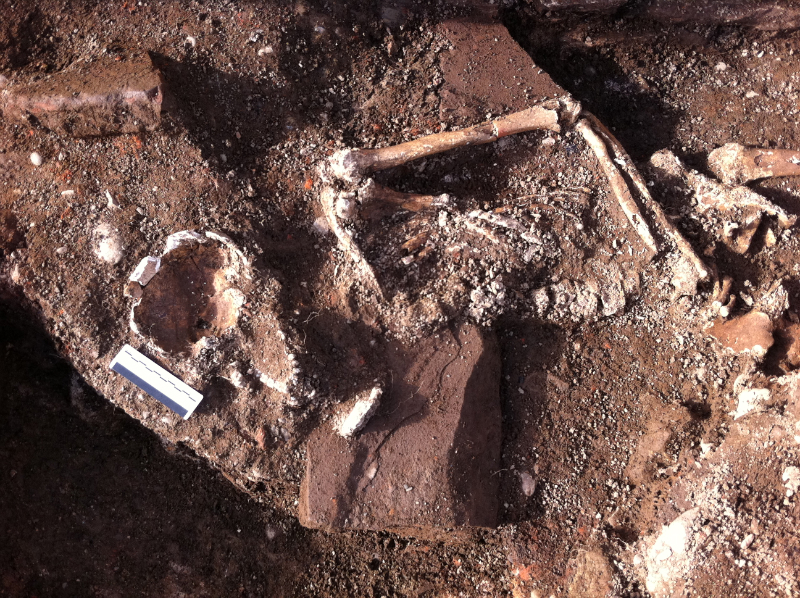 The carbon date report gives quite a broad date range in the Roman period but we can now say with 95.4% accuracy that the date of the skeleton is between AD 91-341. 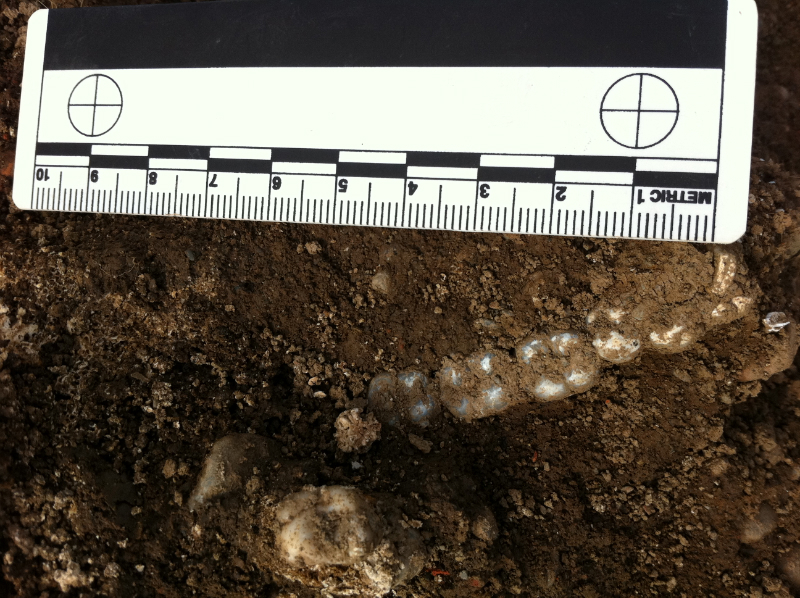 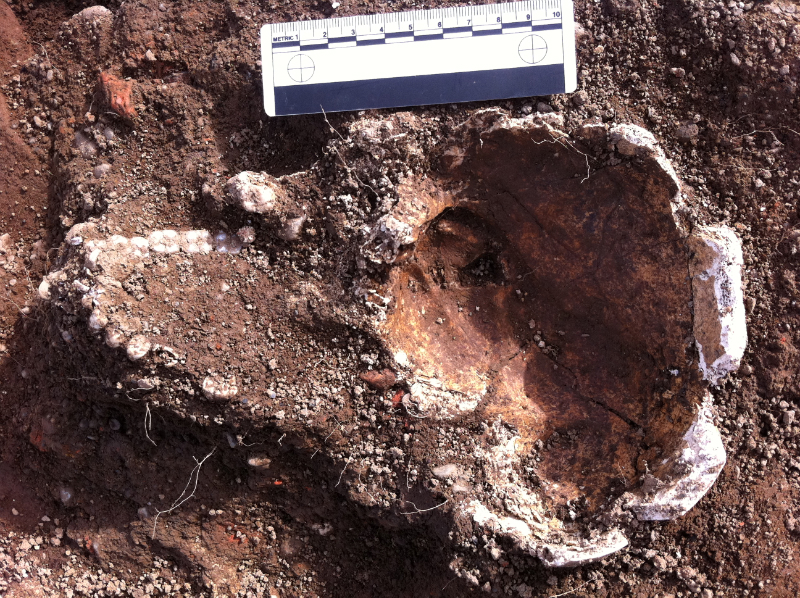 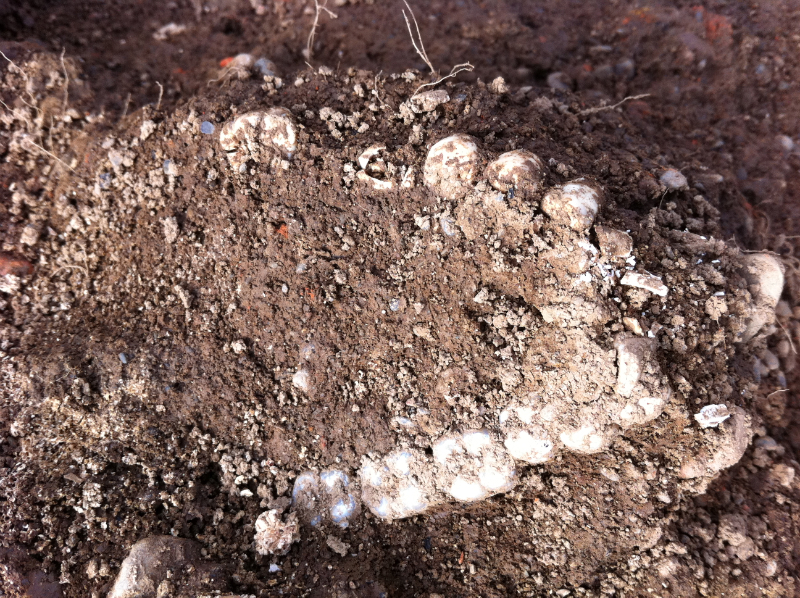 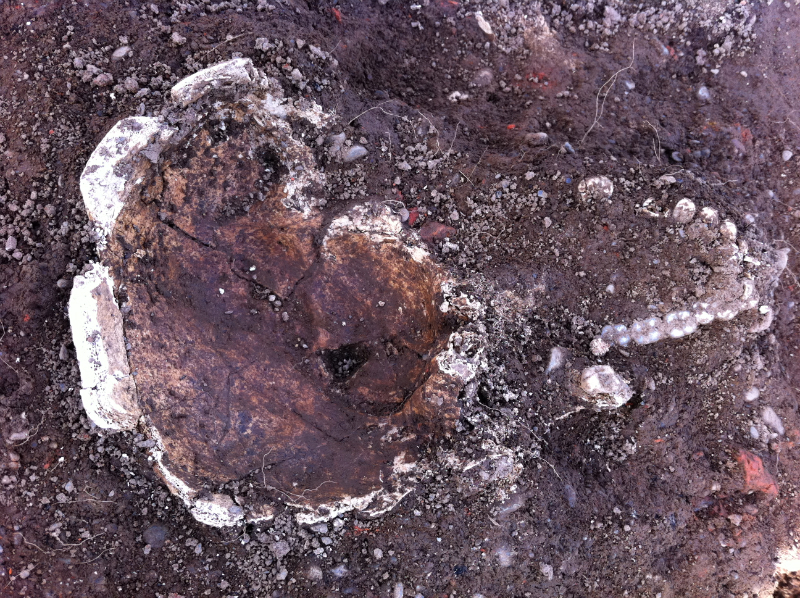 We will conduct further analysis of the teeth early in 2013 in the hope that we can learn where he grew up.